7 Clinics with Buck Brannaman Screening at the 1st Annual Equus Film Festival–Plus, WHEN I GET THAT PONY RODE Wins Best Music Video! 7 CLINICS WITH BUCK BRANNAMAN and WHEN I GET THAT PONY RODE are at the 1st Annual Equus Film Festival! TSB congratulates Cindy Meehl, Director of the award-winning documentary BUCK and award-winning instructional series 7 CLINICS WITH BUCK BRANNAMAN, along with singer/songwriter Templeton Thompson, for winning Best Music Video for “When I Get That Pony Rode” at the 1st Annual Equus Film Festival, going on now through this weekend (August 15-18, 2013). After debuting online on CMT.com on February 19, 2013, “When I Get That Pony Rode” became one of the most requested videos on that site, on its second day hitting #1 over many other major country artists. 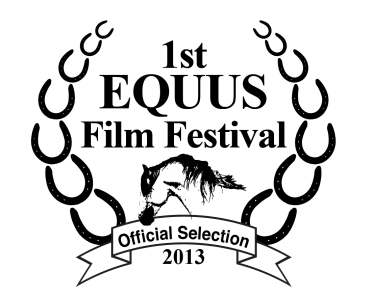 The video, along with 7 CLINICS WITH BUCK BRANNAMAN, is an official selection of the Equus Film Festival, and Templeton traveled to St. Charles, Illinois, where the film festival is running in conjunction with the Festival of the Horse and Drum, to perform—as well as see her song on the “big screen”! Speaking of the big screen, if you are planning to check out the Festival of the Horse and Drum, or if you’re just in the St. Charles area, you can attend a one-hour screening of 7 CLINICS on Sunday, August 18, at 2:30 pm. Tickets to event are available at the Arcada Theater–only $6.00 for an all-day pass to see all the horsey film selections! If you haven’t been there, the Arcada Theater is worth a visit! Built in 1926 by local millionaire and Chicago Tribune cartoonist Lester J. Norris, it became known as one of the outstanding Vaudeville houses of its day. Many legendary stars have graced the stage, including George Burns and Gracie Allen, Edgar Bergen and Charlie McCarthy, Olivia DeHavilland, the John Phillip Sousa Band, Cornelia Otis Skinner, Vincent Price, Jeanette McDonald, Walter Slezak and Maria Von Trapp, to name a few. In 2005, the Arcada was fully renovated and now plays hosts to festivals and entertainers, including today’s hottest stars. It’s a thrill to have 7 CLINICS WITH BUCK BRANNAMAN and WHEN I GET THAT PONY RODE on the big screen at the historic Arcada Theater!